Construction on the island’s long-awaited $6 billion redevelopment project is happening sooner than expected, forcing promoters of the annual outdoor music event to relocate this year’s two-day concert, set to take place on Oct. 15-16, at the last minute. The festival will move from the Great Lawn, the patch of grass overlooking the city where it has been held for the past nine years, to the area around the pier located on the southeastern point of the island, adjacent to the Bay Bridge, according to Another Planet Entertainment, the festival promoter. 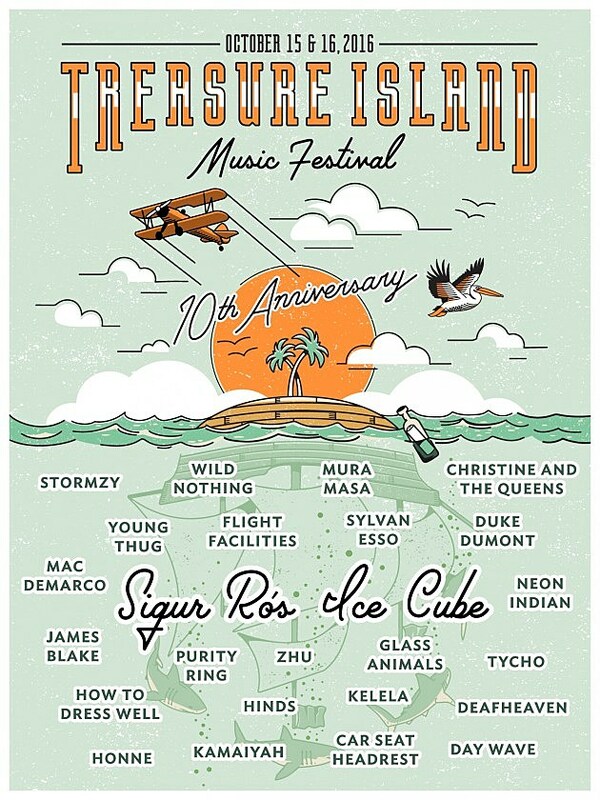 Meanwhile, the festival has announced single-day lineups for the weekend, which includes Ice Cube, Sigur Ros, James Blake, Young Thug, Mac DeMarco, Sylvan Esso, How to Dress Well, Deafheaven, Car Seat Headrest, Hinds, Kamaiyah and many more. Tickets are on sale now. Check out those daily lineups below.